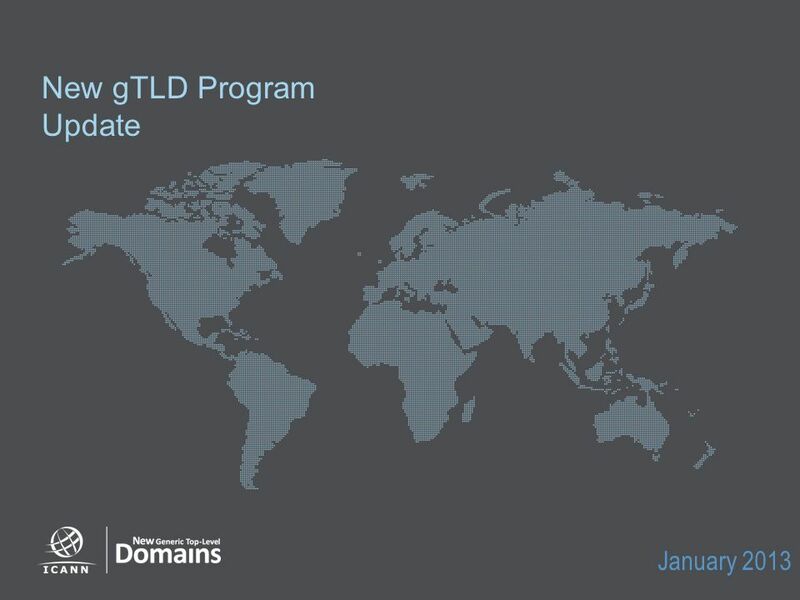 New gTLD Program Update January 2013. 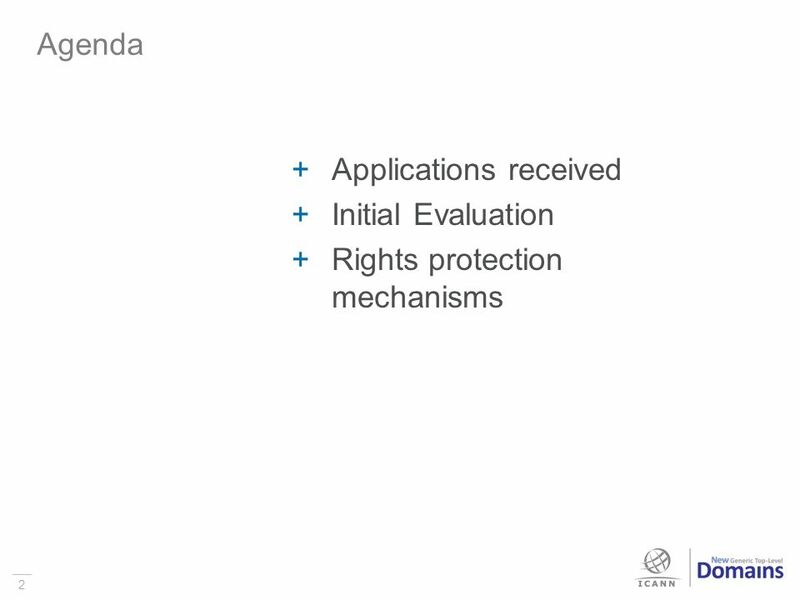 2 Applications received Initial Evaluation Rights protection mechanisms Agenda 2. 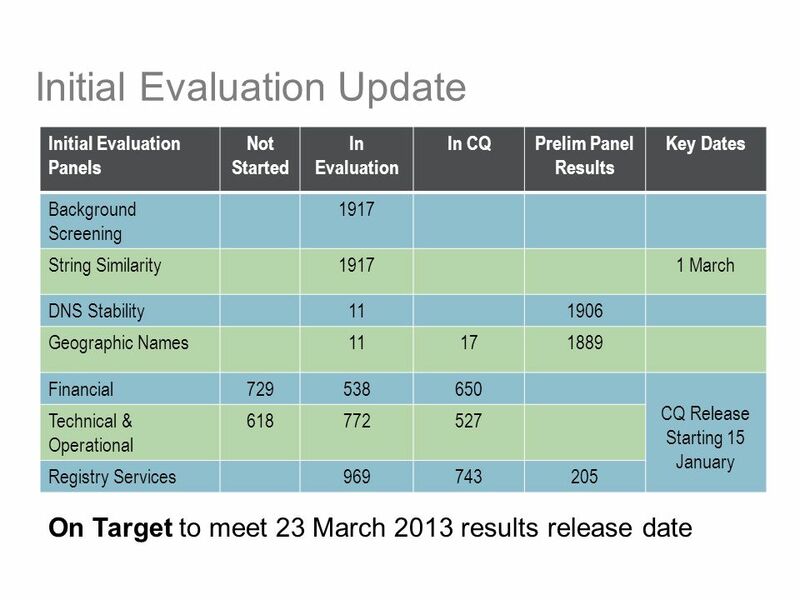 Download ppt "New gTLD Program Update January 2013. 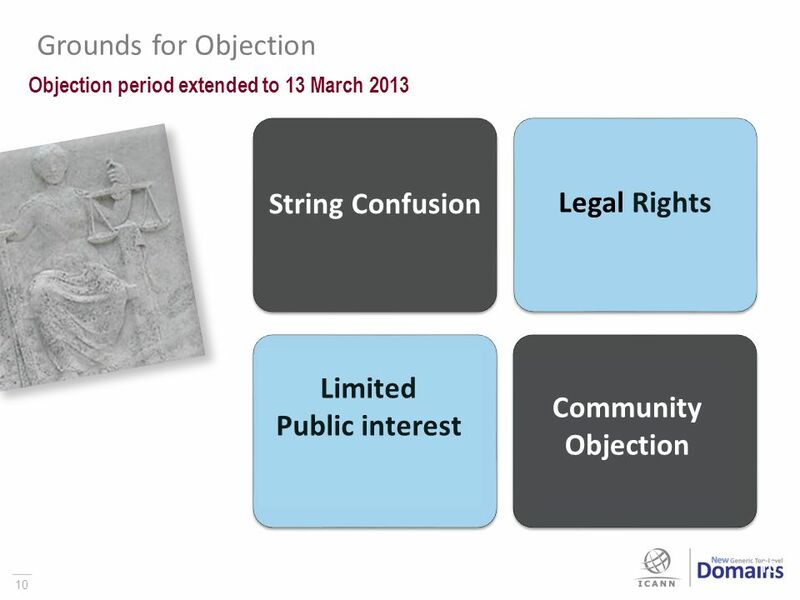 2 Applications received Initial Evaluation Rights protection mechanisms Agenda 2." 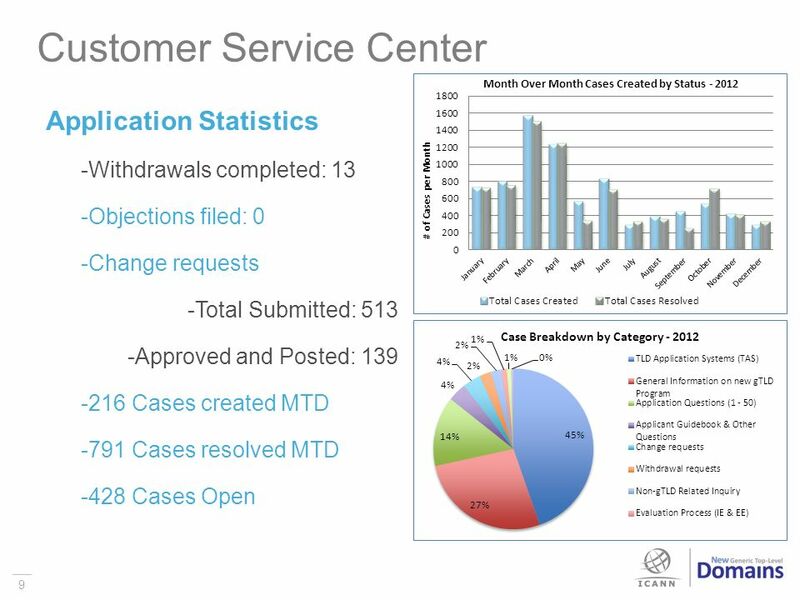 QSE Program Managers Meeting - Nov 15th, Topics Context Schedule Review Package status Program Team Statistics. Prepared by Corporate Affairs September ICANN Update AfriNIC9 26 November 2008 Pointe aux Piments, Mauritius Anne-Rachel Inné ICANN. 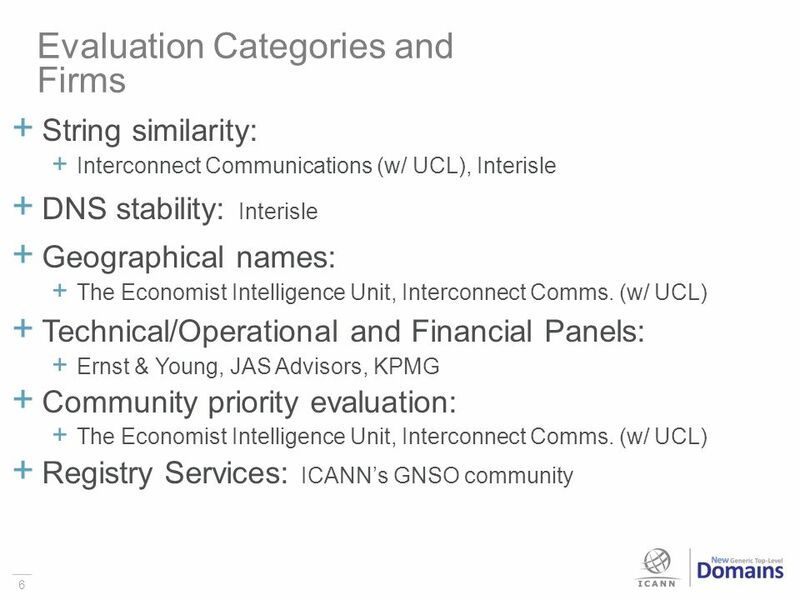 ICANN Stockholm Meeting Report of the Vice President and General Counsel 3 June 2001 Louis Touton Vice President and General Counsel. 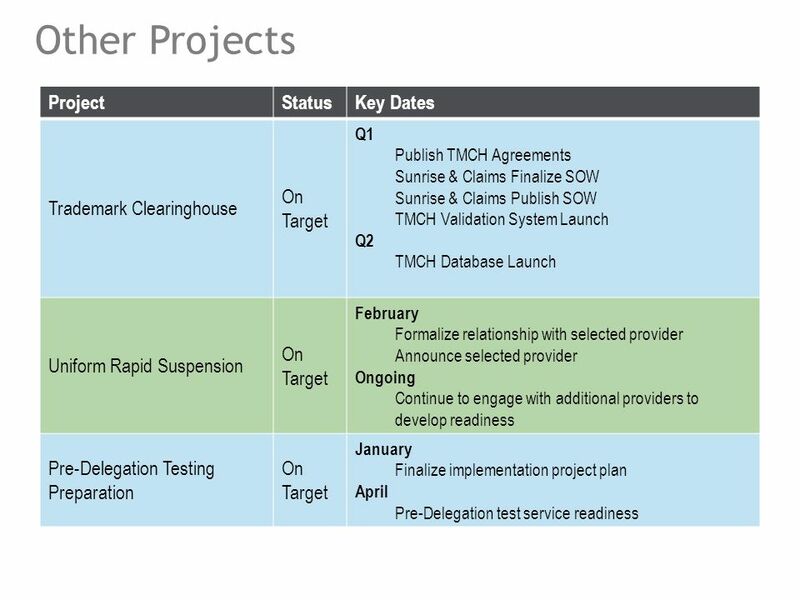 1 Update on New gTLD PDP Joint GAC/GNSO meeting Avri Doria Chair, GSNO Council San Juan, Puerto Rico. Briefing on the Draft FY11 Operating Plan and Budget Kevin Wilson, CFO 1. 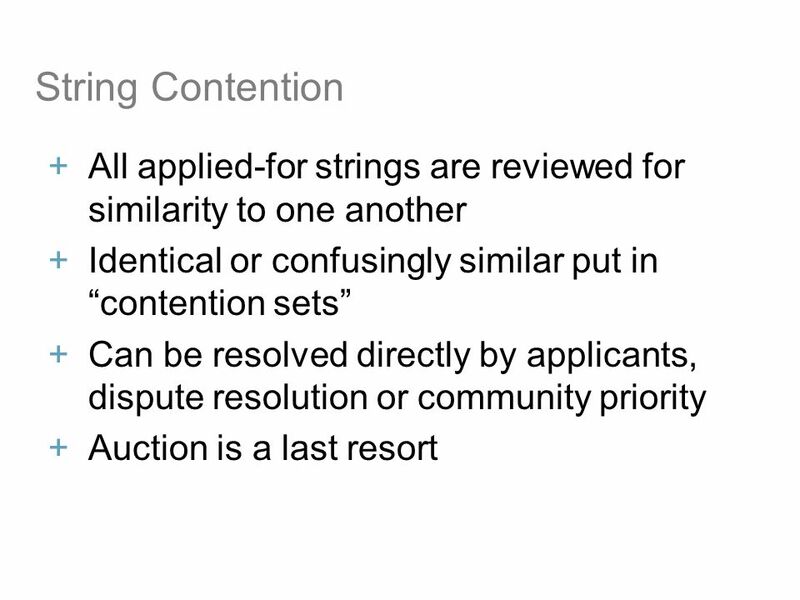 Protection of Intl Organization Names in new gTLDs ALAC Presentation Brian Peck. 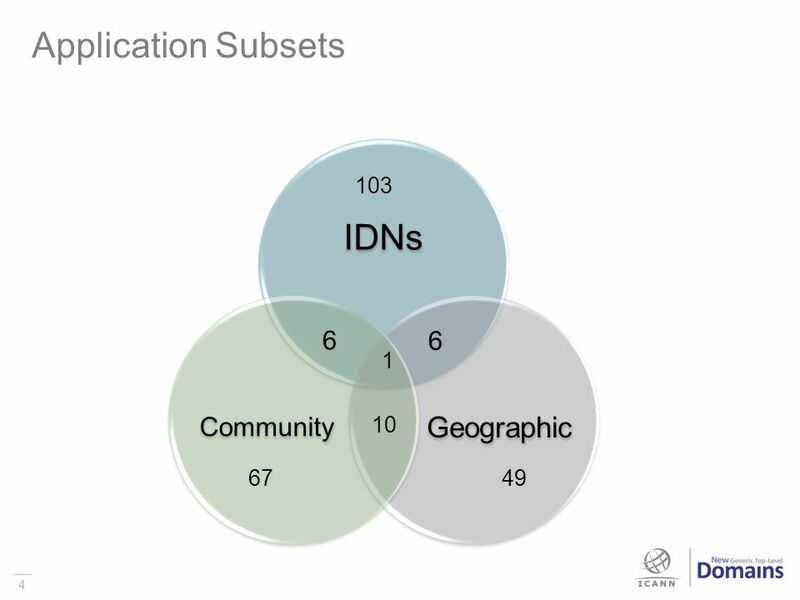 IDN Variant Issues Project (VIP) Project Update and Next Steps 11 April 2012. 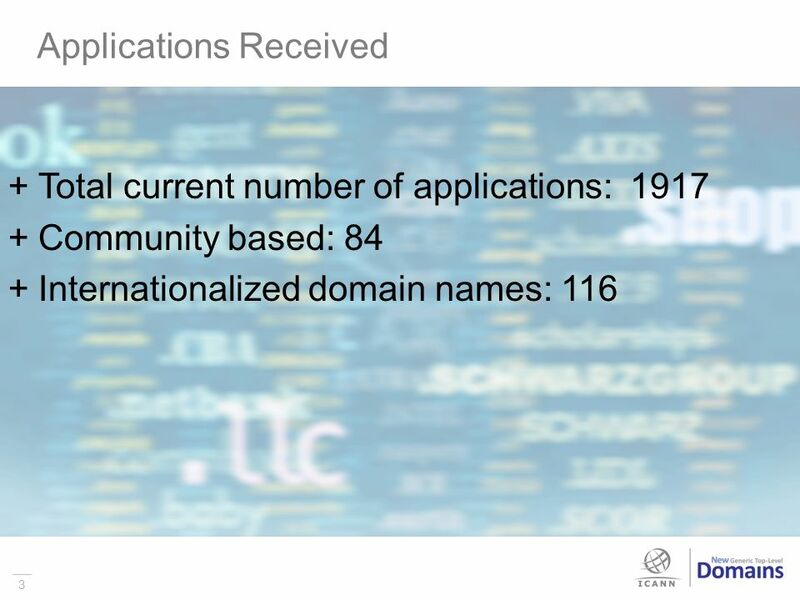 New gTLD Program Update July Applications received Initial Evaluation Rights protection mechanisms Agenda 2. 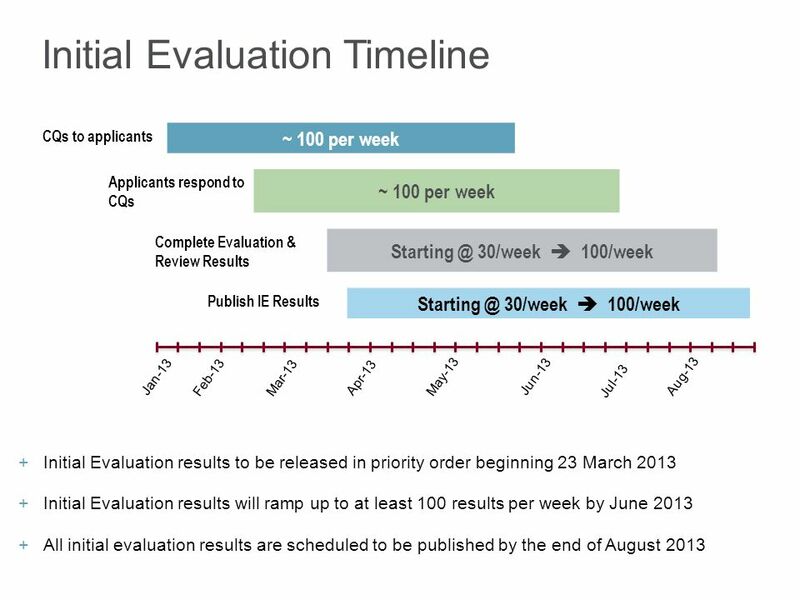 New gTLD Program Update May Applications received Initial Evaluation Rights protection mechanisms Agenda 2. NANC Report Numbering Oversight Working Group (NOWG) February 21, 2013 Tri-Chairs: Laura Dalton, Verizon Communications Natalie McNamer, T-Mobile USA Karen. 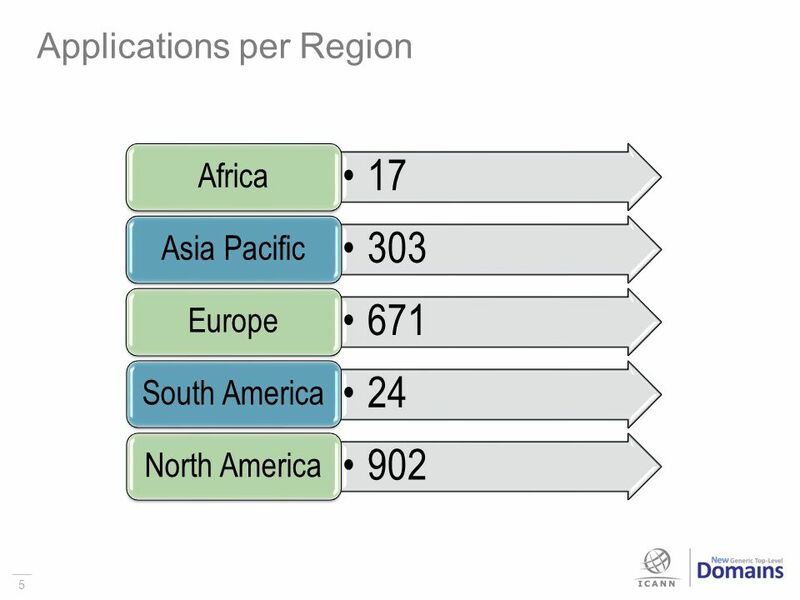 WIPO patent landscape report on solar cooling Christian Soltmann Swiss Federal Institute of Intellectual Property, Berne. 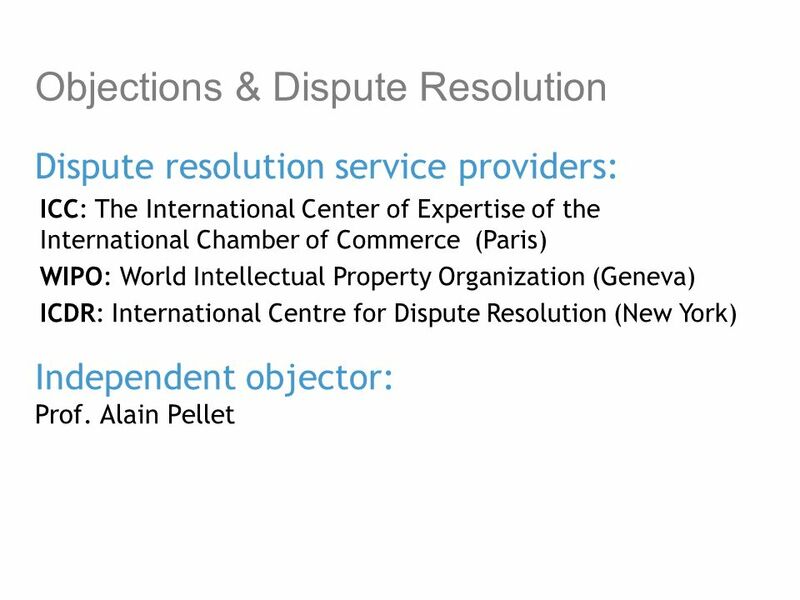 1 WIPO Staff Briefing, WIPO Arbitration and Mediation Center, June 19, 2009 WIPO Staff Briefing June 19, 2009 WIPO Arbitration and Mediation Center Erik. 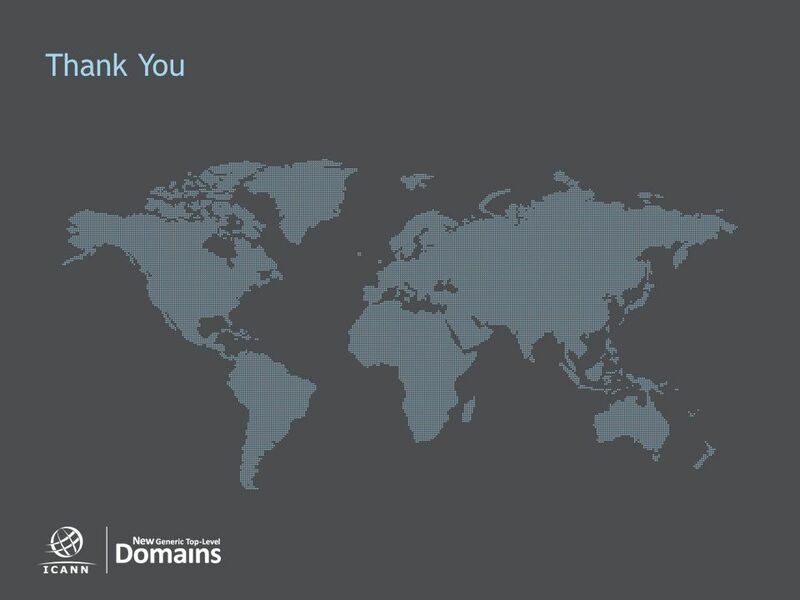 2 Dedicated to keeping the Internet secure, stable and interoperable Formed in 1998 as a not- for-profit public-benefit corporation Follows multistakeholder.